Gnome’s new tricks, our favorite thing about the Raspberry Pi 3B+, Eric Raymond’s call for an open source UPS, and the US city that banned Bitcoin mining. 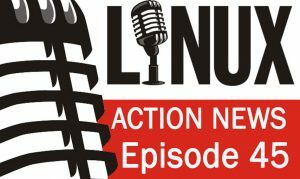 Plus Let’s Encrypt rolls out wildcard certs, Firefox 59’s new Linux feature, and why Wil Wheaton switched to Debian. GNOME 3.28 Released — One major new feature for this release is automatic downloading of operating systems in Boxes, which takes the work out of creating and running virtual machines — just pick the operating system that you want to create a virtual machine of, and Boxes will now download and install it for you. Let’s Encrypt rolls out wildcard certs — Free “wildcard” certificates to enable secure HTTP connections for entire domains. In addition to a new version of the Automated Certificate Management Environment (ACME) protocol, an interface that can be used by a variety of client software packages to automate verification of certificate requests. Eric Raymond’s open source UPS — Last week, ESR opened up the work-in-progress on GitLab: the Upside project is currently defining requirements and developing a specification for a “high quality UPS that can be built from off-the-shelf parts in any reasonably well-equipped makerspace or home electronics shop”.